Supporting Self-directed Play, recently published by WECAN, arose out of two concerns. One is the disappearance of play in many countries around the world. 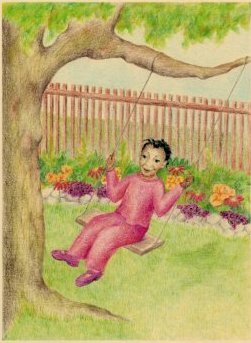 The other concern is the danger of self-directed play disappearing in the practice of Steiner/Waldorf early childhood education. A quiet shift is taking place in Steiner/Waldorf early childhood practice away from a cornerstone of this work, the self-directed and open-ended play, towards more time spent in playful, outcome-oriented activities. Child-initiated, self-directed play is disappearing fast from early childhood all over the world. One or two generations ago many children still lived in country or suburban areas where they were able to play outside, away from the watchful eye of parents or teachers. They directed their play themselves, exploring, seeking out hiding places, collecting treasures and thus being immersed into their own world. Today, many educators observe not only the disappearance of play from the early childhood curriculum in public and state schools, but also an increasing inability in young children to self-initiate play and to sustain it, if they are given the opportunity to do so. In 2009 the Alliance for Childhood published a research report on play, Crisis in the Kindergarten: Why children need to play in school. The report is based on nine recent studies of the state of play in a number of American kindergartens in different states and social situations. The studies showed that play “is now a minor activity, if not completely eliminated in the kindergartens assessed.” Two to three hours is spent each day in literacy, math, and test preparation, and children have 30 minutes or less each day for play or “choice time.” Teachers mentioned that it is a major hindrance that play isn’t incorporated into the curriculum. Many classroom activities that adults describe as play are in fact highly teacher-directed and involve little or no imagination or creativity on the part of children. Crisis in the Kindergarten and other recent recommendations on play by pediatricians raises the question: what is meant by the terms free play, child-driven play, child-initiated play and self-directed play? Similarly, what is meant by adult-directed play, play-based learning, adult-initiated activities and structured learning? How much should the teacher lead? Is it the child who initiates play and is it the role of the teacher to enter into play situations with suggestions for extending play? Or is it the intention that the child directs his own play process from the beginning to the end without intervention by the teacher? In this case, would the teacher’s guidance of learning activities relate to other activities during the day, which then would be directed more toward the group of children, such as storytelling, or domestic and craft activities? The answer to those questions will be different for Waldorf early education environments than for other approaches. 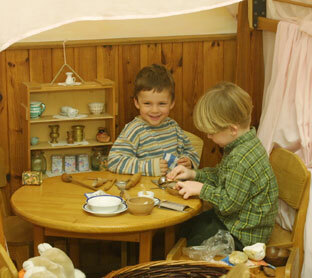 In Waldorf early education there is a clear separation between self-directed play and the work of the teacher on the other, in which children may join. In Supporting Self-directed Play the “play research” undertaken relates entirely to the time (at least 60 to 90 minutes indoors and 60 minutes outdoors per day) in which children are the “masters” in directing their own play, while the teacher has the role of preparing the environment and safeguarding the space and time for play, but not getting involved (unless a situation requires intervention for the purpose of safeguarding play and protecting children. The urge to play, the particular way in which a child plays, disappears and sinks below the surface of life. Then it resurfaces, but as something different, as the skill to adapt to life. There is an inner coherence in life throughout all its stages. We need to know this in order to teach children in the right way. The child has a spiritual-soul activity that, in a certain sense, still hovers lightly, etherically over the child. (That is, the spirit-soul being of the child is not yet fully incarnated.) It is active in play in much the same way that dreams are active throughout the entire life. In children, however, this activity occurs not simply in dreams, it occurs also in play, which develops in external reality. What thus develops in external reality subsides in a certain sense. In just the same way that the seed-forming forces of a plant subside in the leaf and flower petal and only reappear in the fruit, what a child uses in play also only reappears at about the age of twenty-one or twenty-two, as independent reasoning in gathering experiences in life. Play reveals its greatest importance for the human biography, in that self-directed play is a practice for and a foreshadowing of taking responsibility for one’s own life. Steiner was one of the first who spiritually discovered and publicly spoke about play as a spiritual activity and about the benefits of play for the later life as an adult. What should educators do to guide children’s play? 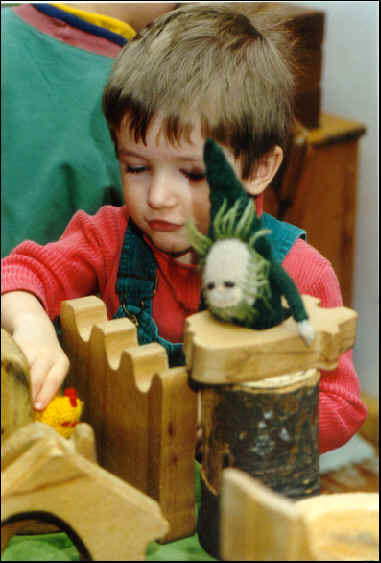 Play in which the child actively explores the environment and forms mental representations of this world which are later linked to concepts. Play that specifically develops the coordination and dexterity of the limbs and the mastery of the body. Play in which the child reproduces the roles and events of everyday life and in replaying social experiences builds an understanding of the social world. Play in which the child expresses inner experiences and works through trauma. Play in which the child enters the world of images and archetypes, which are the heritage of humanity, and reproduces those images in playing out stories or producing pictures related to long times past. Play in which the child creates something new, actively changing the given. The final chapter contains a summary of what senior Waldorf early childhood educators shared about their understanding of play and what they have experienced in facilitating self-directed play. There are also many practical indications about setting up the environment, indoors and outdoors, for self-directed play. Supporting Self-directed Play is a highly-recommended book for anyone working with early childhood education. Details about ordering the book here. 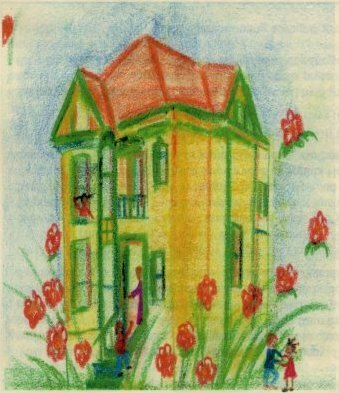 The drawings that accompany the review are from Sophia Project in CA which has been serving the West Oakland community since 2000 by providing many services to mothers and children in crisis and life transition. Sophia Project is a WECAN member and a Camphill Association affiliate. Erika Christakis, MEd, MPH, is an early childhood teacher and former preschool director. Nicholas Christakis, MD, PhD, is a professor of medicine and sociology at Harvard University. Together, they serve as Masters of Pforzheimer House, one of the undergraduate residential houses at Harvard College. Every day where we work, we see our young students struggling with the transition from home to school. They're all wonderful kids, but some can't share easily or listen in a group. The opinions expressed in this commentary are solely those of Erika and Nicholas Christakis. This article originally appeared on CNN. To view the article at source, click here. The Waldorf Book of Poetry is still available at a pre-publication price of $25, including shipping in the US. "Salutation to the Dawn" appears in the Inspiration chapter of The Waldorf Book of Poetry, a collection of over 425 poems. 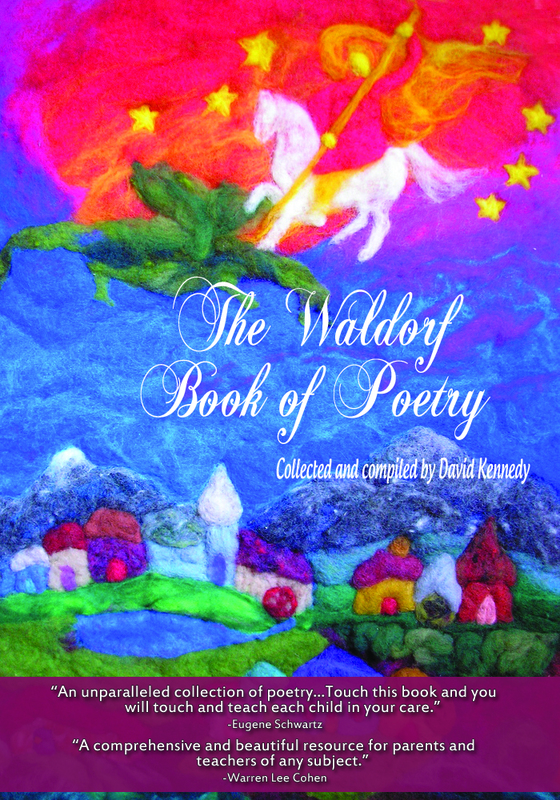 Click here to learn more about The Waldorf Book of Poetry and the special pre-publication discount. Don't forget to forward this week's newsletter by clicking on the rainbow star. Our sponsors at WaldorfTeachers.com make everything we do possible. 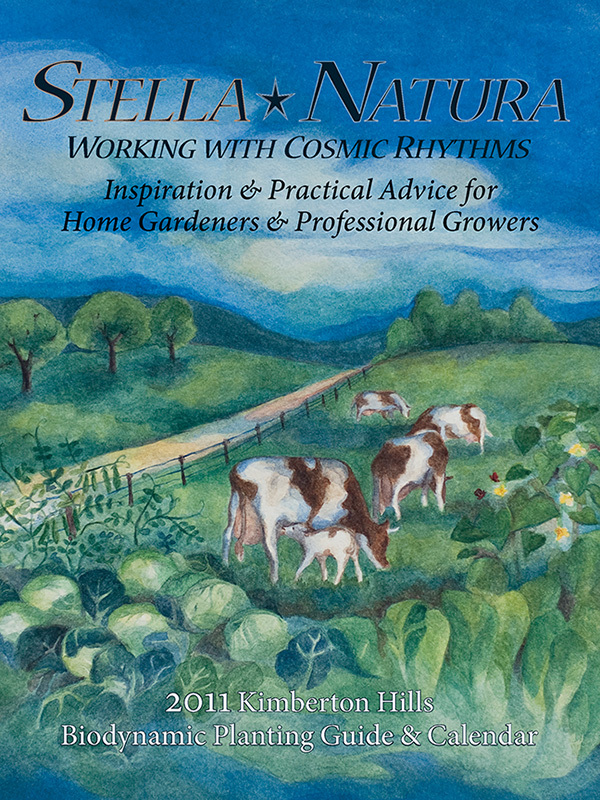 The Stella Natura 2011 Biodynamic Planting Calendar is "inspirational and practical advice for home gardeners and professional growers." The Calendar has many aspects: a basic introduction to astronomy, a simple ephemeris, a planting guide, a star map, aid for following the movement of the planets in the night sky, and articles by ten different authors. All of these attempt to provide a true picture of the world outside us and ideas to assist in developing a healthy relation to that world. "Handkerchief Dance" for three recorder voices (or easily adaptable for one or two). "Handkerchief Dance" is from "The Trio Recorder Book 2" published by Magnamusic. It's a book of trio arrangements from around the world. The pieces were selected for their wide appeal to recorder players of all ages and abilities. The individual parts are of equal interest and difficulty for the players, and offer an excellent opportunity for the performers to be exposed to entertaining, as well as challenging ensemble material. 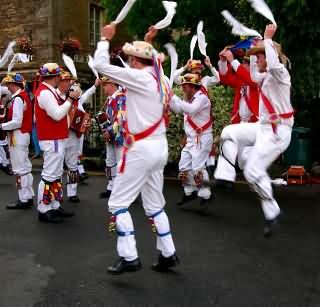 To listen to "Handkerchief Dance" recorded last year at the now historic "Waldorf Sessions", just click on the Cotswold Morris Dancers or click here. In addition to being able to hear the tune played on the recorder, you'll also see lots of "Handkerchief - dancing" men and women. See the new job listings as well as the job seekers that posted this week. Featuring keynote lectures by Sharifa Oppenheimer and 22 hands-on workshops. Is the hurry and rush of the twenty-first century eroding the quality of your familyʼs life? How can you possibly balance your work life, home chores and quality time with your family, as well as squeeze in a little personal space? 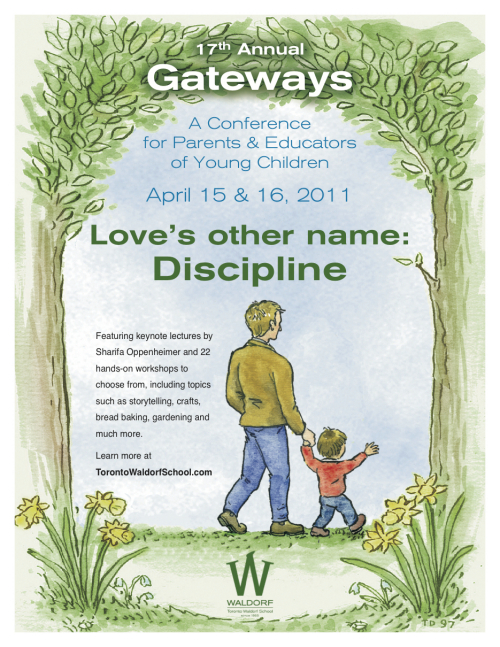 When your children show you, in their misbehaviour, that things are out of balance, does guilt keep you from disciplining? How significant are the sidereal star charts in the manufacture of anthroposophic remedies and supplements? Unsubscribe bedingfield2000@yahoo.com from this list. Copyright (C) 2011 Waldorf Today / Luna Organics LLC All rights reserved.